Sprint has filed suit against AT&T for using a “5GE” appellation to describe its new phone offering that is actually just souped-up 4G technology. It has asked a federal court to enjoin AT&T from using the phrase -- which it calls false and deceptive -- in advertising, promotion or on the phones themselves. On its website, AT&T does explain that 5GE (the E is for Evolution) is actually its existing 4G LTE with advanced features. But it may not seem that simple to consumers. The suit says that because consumers are so anticipating 5G -- which will be faster and far better than the wireless service they’re used to -- the ads may now make them believe AT&T is giving it to them. That’s to the harm of Sprint and other competitors that have yet to market 5G, beyond some experimental markets. Sprint says in a survey it commissioned 54% of consumers believe that AT&T’s 5GE network uses 5G “or better,” according to the suit, and 43% believe that if they purchase an AT&T phone today, it will be capable of running on a 5G network. That’s not true. AT&T today said it will continue to deploy 5G Evolution and said customers “want and deserve to know when they are getting better speeds,” which 5GE supposedly does give. “We understand why our competitors don’t like what we are doing, but our customers love it,” the AT&T statement read. 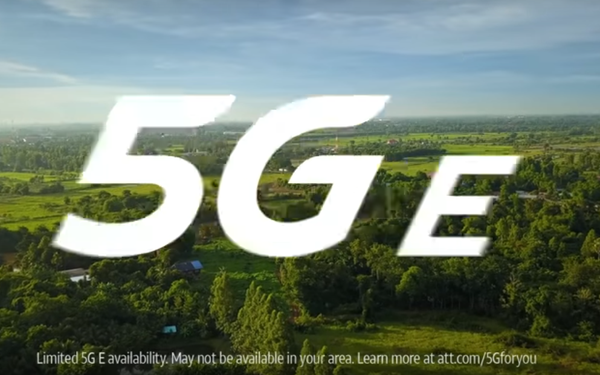 The complaint contains snippets from several critical stories, copies of the ad and logos -- and a widely reported boast from AT&T Communications CEO John Donovan at the Consumer Electronics Show, seeming to relish the anguish the 5GE designation was causing other wireless carriers. T-Mobile is awaiting approval of a $26 billion merger with Sprint that still needs regulator approval, and has received some opposition because it will narrow the ranks of major wireless providers from four to three.